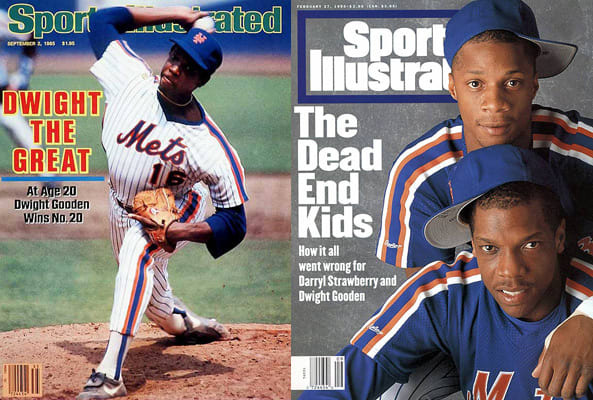 Gooden's 1987 drug suspension was shocking, but was tempered somewhat by the afterglow of the Mets' 1986 world championship. By '94, though, memories of '86 were far in the rearview mirror, and Doc's continued struggles with cocaine just became sad. His second positive test of the year (prompting a ban from the sport for the '95 season) occurred while baseball was already on "hiatus" for the player's strike, and while Mets fans probably weren't itching to get that '94 squad back on the field (they sure as hell weren't making the cancelled World Series), it was adding insult to injury to see the final rail, er, nail put in the coffin of the mid-'80s would-be dynasty.